Doctor's Best Lutein with Lutemax supplies carotenoid nutrients lutein, zeaxathin, and meso-zeaxanthin, naturally sourced from Marigold flowers. 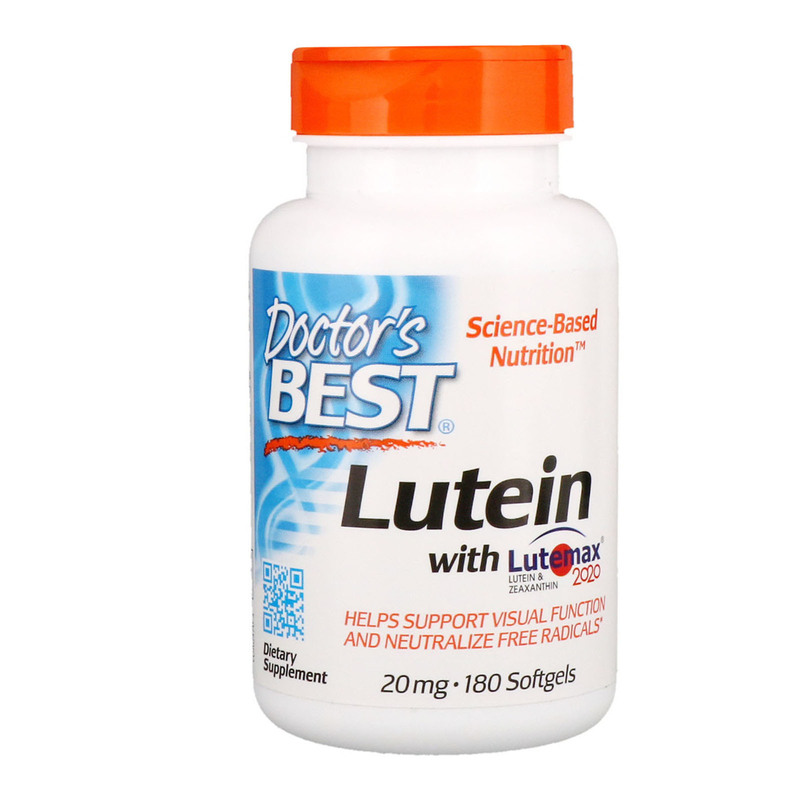 Lutemax contains an enhanced ratio level of lutein and zeaxanthin improving nutrient availability to the human eye. Lutein and zeaxanthin are the major carotenoids found in the blood, and are highly concentrated in the retina of the eye. Constant exposure to ultra violet (UV) and blue light emitted from computers and mobile devices may potentially damage to the retinal cell. 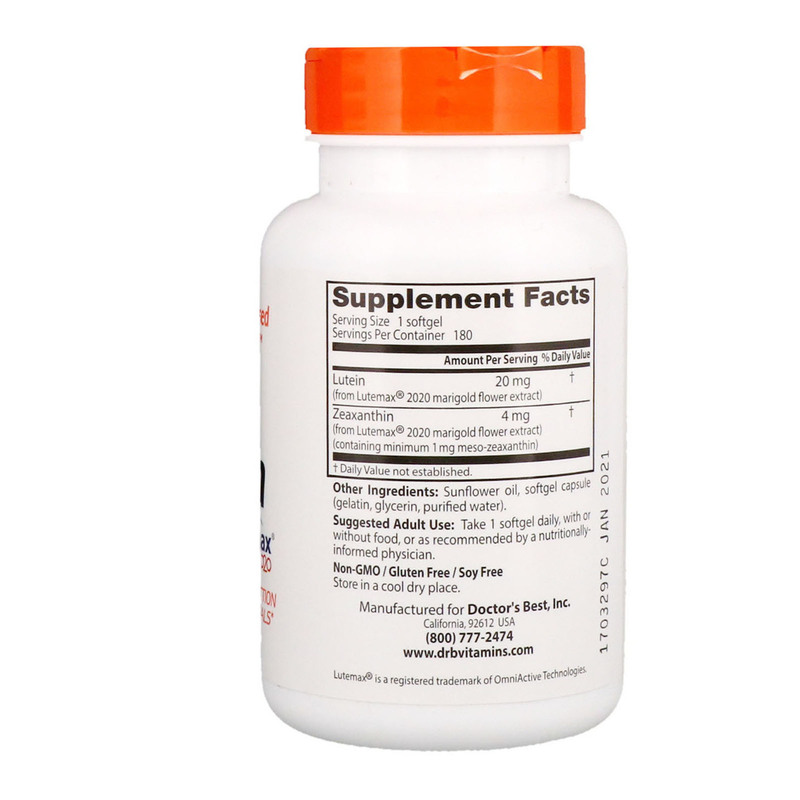 Lutein and zeaxanthin helps neutralize free radicals to support healthy visual function, macular health, and cognitive acuity. Helps absorb damaging blue light. Suggested Adult Use: Take 1 softgel daily, with or without food, or as recommended by a nutritionally-informed physician.